A British Tesla driver has received an 18-month driving ban after being spotted sat in the passenger seat of his vehicle whilst the car was on autopilot. Bhavesh Patel of Nottingham plead guilty to dangerous driving after witnesses in another vehicle filmed him sitting in the passenger seat of his Tesla S60 on the M1 between junctions 8 and 9 near Hemel Hempstead. It is believed Mr Patel, 39, moved into the passenger seat after putting his electric vehicle into autopilot while at 40mph on the motorway. The footage of the incident was filmed and put on YouTube and appeared on social media, which alerted the police to the incident. Patel had owned the car for five months at the time of the incident and admitted that although he was ‘silly’ he was just the ‘unlucky one who caught’ as the Tesla was capable of something ‘amazing’. A Tesla engineer told the court that drivers should “never” depend solely on the car’s Traffic-Aware Cruise Control (TACC) systems to manoeuvre through road congestion. The expert advised Tesla drivers to “always watch the road in front of you and be prepared to take corrective action at all times”. 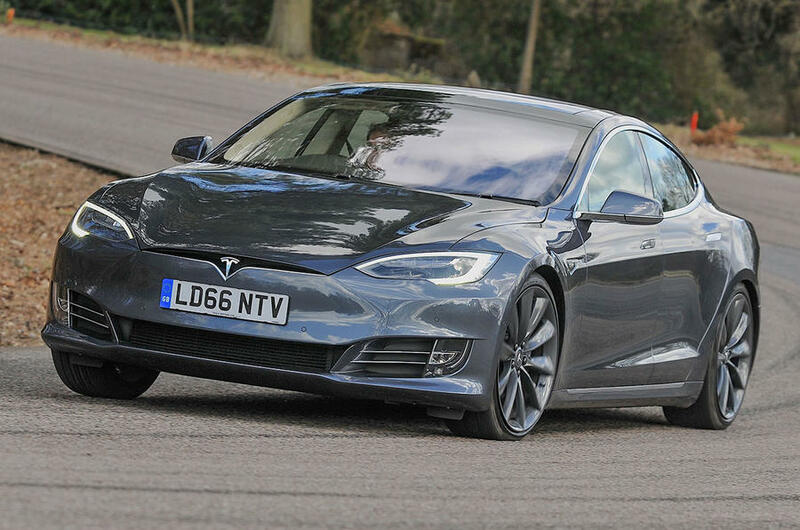 Tesla drivers in the UK have been taking advantage of the Autopilot system since its launch in 2014, the system is capable of automatically steering and applying the brakes. Only last month a driver in California was fatally injured after his Tesla Model X SUV veered into a concrete barrier whilst the car’s Autopilot system was engaged. As well as an 18-month ban, Mr Patel was ordered to pay £1,800 and complete 100 hours of unpaid work and undergo ten days of ‘rehabilitation’.